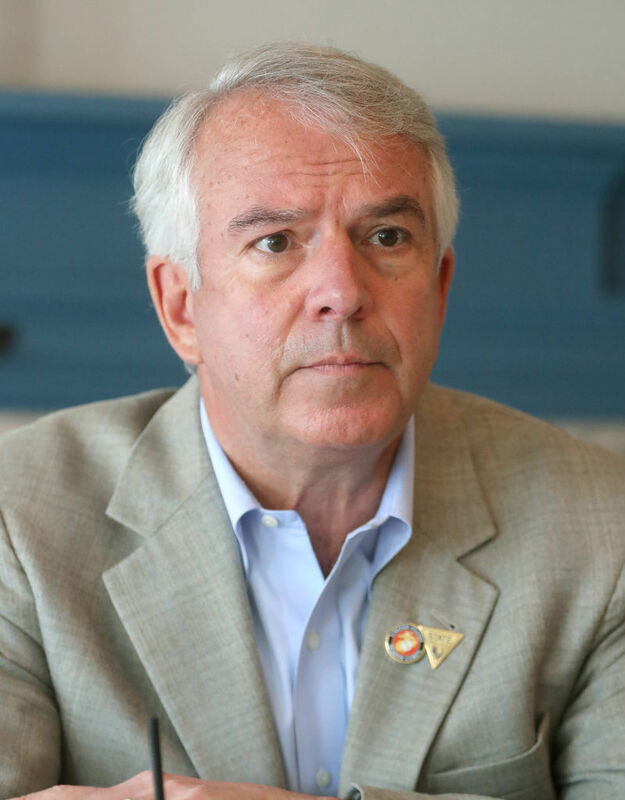 Bob Hugin, candidate for U.S. Senate, is running against incumbent Robert Menendez this upcoming election. In his several months as a U.S. Senate candidate, Republican Bob Hugin has spent millions of dollars — much of it his own money — on attack ads accusing incumbent Bob Menendez of legal and ethical corruption. Now, a new super PAC is coming after Hugin for alleged past transgressions while serving as CEO of pharmaceutical company Celgene. Patients for Affordable Drugs Action spent $1.5 million on television ads attacking Hugin and Celgene over price increases for the cancer drug Revlimid. The new commercials allege Hugin made a “killing” off Revlimid while leaving cancer patients without the medicine they need for effective treatment. David Mitchell, founder of Patients for Affordable Drugs Action, is a cancer patient who took Revlimid for more than five years. Between 2010 and 2017, while Hugin was CEO of Celgene, the price of Revlimid doubled from $9,853 to $18,546 for a bottle of 28 pills, according to pharmaceutical watchdog Fierce Pharma. The drug accounted for $8.1 billion in Celgene profits in 2017 — nearly 62 percent of company’s overall profits. In a recent interview with The Press, Hugin said Revlimid has done “great things for the American people and people around the world.” He defended the price increases by saying drugs should be priced based on their value. After a drug is introduced to the market, the price comes down in theory once it’s shared and produced with generic brands. Celgene for years fought sharing Revlimid with generic companies, citing safety reasons. It has held exclusive rights to the drug for over a decade. However, the patent on the drug could be overturned in the coming years if generic companies succeed in their legal fight against Celgene. All of the steps Celgene took to fight sharing the drug were legal under federal law. The Menendez campaign, meanwhile, has capitalized on the controversy. Last week, it launched an anti-Hugin website that focuses on the price of Revlimid and tries to tie Hugin to President Donald Trump. The website, however, has faced criticism from some Republicans and news organizations across the state for looking too much like a real news website instead of a campaign site, according to a report from Politico. The bottom of the site says, “Paid for by Menendez for Senate,” and it was unveiled by the campaign through a press release. Federal election spending data show Menendez took money from a Celgene super PAC in the past, before Hugin decided to run against him. Hugin no longer has any affiliation with the company. He resigned earlier this year to enter the race for the Senate. Asked whether Mitchell’s super PAC considered Menendez’s recent corruption trial, which ended in a hung jury, and a scathing ethics reports from a bipartisan committee in the Senate before buying attack ads against Hugin, Mitchell said those issues strayed from the mission of Patients for Affordable Drugs Action. He added the super PAC is bipartisan and plans to support Republicans around the country based on their views of decreasing the price of drugs.